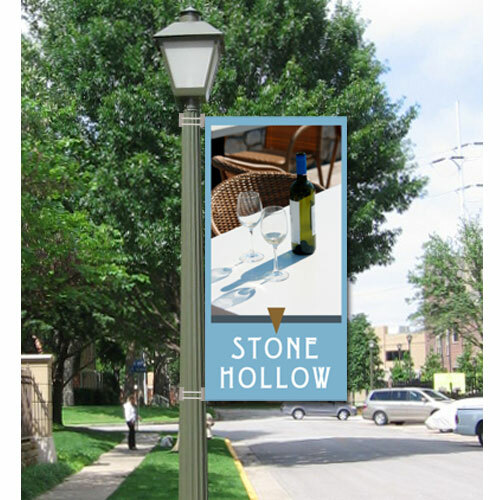 Boulevard Banners are also known as street pole banners, parking lot banners and pole banners. Creating a Boulevard Banner for you community is no problem. You see them lining city streets, university and other businesses. 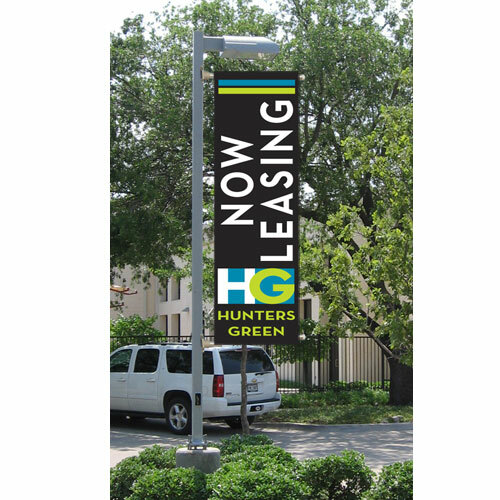 All of our Boulevard banners are digital print on 10 ounce banner fabric. The top and bottom have a pole sleeve that fits over Boulevard Banner Hardware. See the hardware section for details. 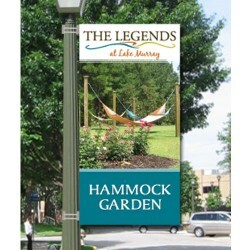 You can hang the Boulevard banners on your fence line or on a tall pole. 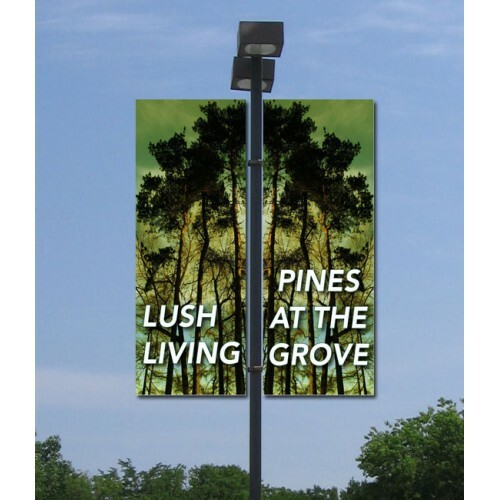 You can choose from any of our great Boulevard Banner styles or create your own. When you place your order, we will email you artwork for your approval. We have a variety of sizes. We offer various size for your specific situation. Call us with your questions. Boulevard Banners are sometimes called parking lot banners, pole banners, avenue banners or street..
A larger 3' wide by 8' tall custom boulevard banner. The larger boulevard banner is doub..
A great idea for Urban communities and campuses. These street pole banners are smaller a..
Promenade style boulevard banners are good for two banners on the same pole. They are 18..